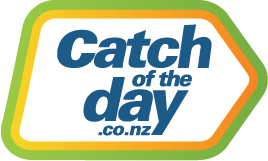 Go to www.catchoftheday.co.nz and login to your account. Go to ‘My Account’ at the top of the page. Here you view your current and old orders, download invoices and request a return. If you still can't find your order, but believe you have been charged for it, please contact us via the link below and we will be happy to look into this for you. It may be that you have used a different email address to make your order (for example; your work email address instead of your personal account), but our Customer Service Team will help you track it down. If you are unable to locate the order in your account history, then there is a chance that your order may not have been successfully completed. Unfortunately we cannot guarantee that the items will still be available if your order is placed later – they sell out fast!